I am starting to wish I had never bothered moving back to BT. I ordered BT Infinity 2 at the beginning of January via Quidco which meant I could get £120 cashback along with £100 Sainsbury's vouchers... which sounded an amazing deal... I chose to pay the line rental up front so that I could get a cheaper line rental deal and added the you view box, as it would be ideal for the kids bedroom. As my line was with another provider BT stated that they would first have to transfer the line back, which would take about 2 weeks, after which the broadband would automatically be ordered. I received an order email from BT showing exactly what I had ordered, and details of my telephone activation date... that date finally arrived, and I received text and email confirmation that the line was now back with BT. Excellent, just one thing missing, no mention of my infinity order, so I called 150 to be told that the order was with the online team and I would need to wait.... So I contacted the bt twitter team to see if they could chase it up. Over the last couple of days I have been in contact with the twitter team, who have had to place a new order for my infinity due to a cockup with their offering system. This has meant a longer delay in getting infinity, and the possibility of the cashback not being tracked and me losing out £120. BT have today sent me an invoice for one month line rental, when I have an email confirmation of me placing annual line rental option. This has been a complete joke, I am seriously thinking of canceling the whole move and finding an alternative FTTC provider... surely it should not be this difficult to become a new customer with BT.. I have had exactly the same issue. Ordered on 31st Dec, as I was with BE for phone service had to move line etc, given date of 10th Jan for move. All went well. No mention of Broadband, phoned up to chase it and basically had to reorder Infinity. Given date of 10th Feb for install, booked date off work. Received confirmation email with install date of 29th Jan! Not overly concerned as I could change the day off and the sooner the better as far as I am concerned. I also paid for the 12 months advance line rental and have just received a bill for one months line rental? And they took £141 for the years advance (which should of been £147.95 including delivery for HH5). 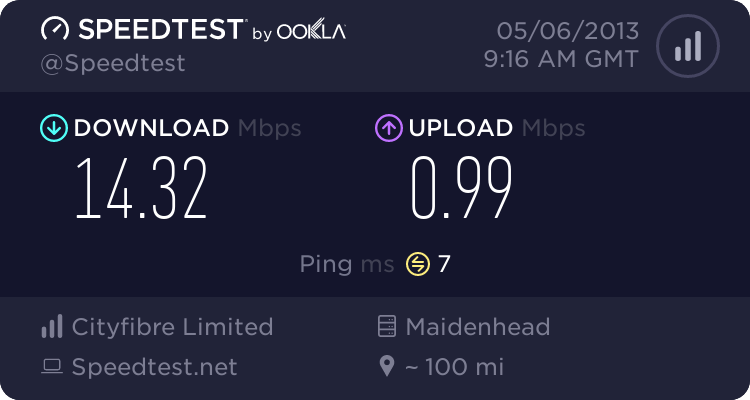 I am beginning to get a little concerned about my decision to move back to BT, just hope the install is painless and the financial aspects are sorted. & specifically refer to the message that you put on this Forum! Apologies, that was meant to be a reply to zer0! Well, if you will put price and Quidco at the top of your list, you deserve what you get. I certainly didn't choose the cheapest provider when I went to BT, I could understand your reply if I had gone with a cheap provider like talktalk. I am transferring my broadband from AAISP, who have been an amazing ISP, but sadly a little to expensive for a family who wants to stream YouTube and Netflix. Well, you seemed more worried about price to me, with cash-back and line rental up front, ending up with a long tie in and one of the worst customer services. I have suffered most, before realising that service is important if you hit a problem. Only having good help on a forum like TT is no good if your BB is down. PN tickets not answered for days or long hold on the phone has been suffered, as has BT call centre. Same happened to me last summer. Fortunately, thanks to previous bad experiences with some ISPs on changeovers, on noticing no mention of Infinity in the 'we have now taken your line back' email I contacted them about it. Luckily as it turns out, as it seems that if you order online often the order for the infinity part doesn't go through properly and I would have been left waiting and wondering if I hadn't queried it. I would have thought they would have fixed that by now. I had a similar bad experience last year (not Infinity) with BT so it seems things haven't improved. There's nothing wrong in getting the best deal you can. £120 cashback and £100 in Sainsbury vouchers is IMHO not to be dismissed out of hand. I would not throw that amount of money away anymore than the next, but I prefer to put a quality service and no tie-in before price. Not that it stops me getting line rental for £11.22 without up front payment or tie-in. What you could do with the up front line rental cost over a year has to be taken into account. It could be used to earn more than the £220.